For Graham Gill's Legal IT Division please click here. 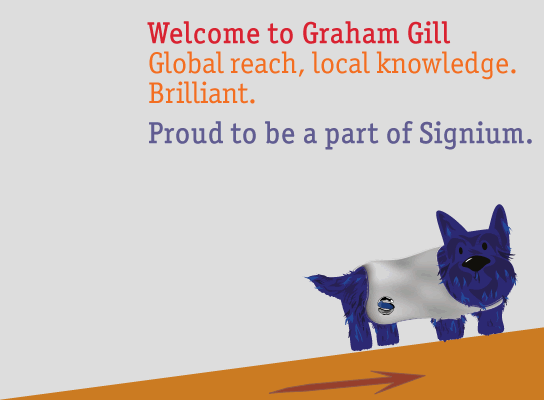 Graham Gill's Partner and Consulting Division is now part of Signium, please click here where you will be redirected to our Signium site. Graham Gill has focused on senior level recruitment and consulting in the Legal sector since 1989, building a market leading reputation and practice. In 2016 our Partner and Consulting Division became part of Signium, please click here. With 50 offices across 30 countries, we offer global coverage with local market leading consultants in each jurisdiction. Our market leading IT Division which is focussed on placing IT professionals in the Legal sector was set up by Wendy Phillips in 2003 and continues to work under the Graham Gill brand. For more information on our Legal IT practice please click here. We are only as good as our last completed assignment. We make it our business to understand our clients' business and a candidate's motivations. We look to the long term and never compromise with a 'quick fix'. A significant portion of our workflow emanates from referrals and the exclusive mandates we handle are testimony to the quality of service we provide.